2014 Marina Cup. Not that I'm bitter. The truth is that I should let this go. But the other truth here is that fishing a marina for regularly fed carp is bush league. I'm surprised the guys over at 3 Rivers Anglers allow it. Their Carp Cup is otherwise an excellent tournament. Well-organized and a hell of a lot of fun. At last year's Cup we were told that we would have to hit the marinas to have any shot at winning. And so we did that, fishing a mix of marinas and flats. We did catch a couple of carp at the marinas and I can tell you that it was unsatisfying more than somewhat. Embarrassing even. I was hesitant to admit to the other anglers where we caught our fish. So this year we had a different game plan and stayed on the flats. We focused on a small area and circled through a series of flats and wooded shorelines. This was successful and we'll definitely have a similar strategy in 2015. There may not be a next year for us. There's no use in spending several hundred dollars in entry fees, beer, gas, beer, food, beer, etc. 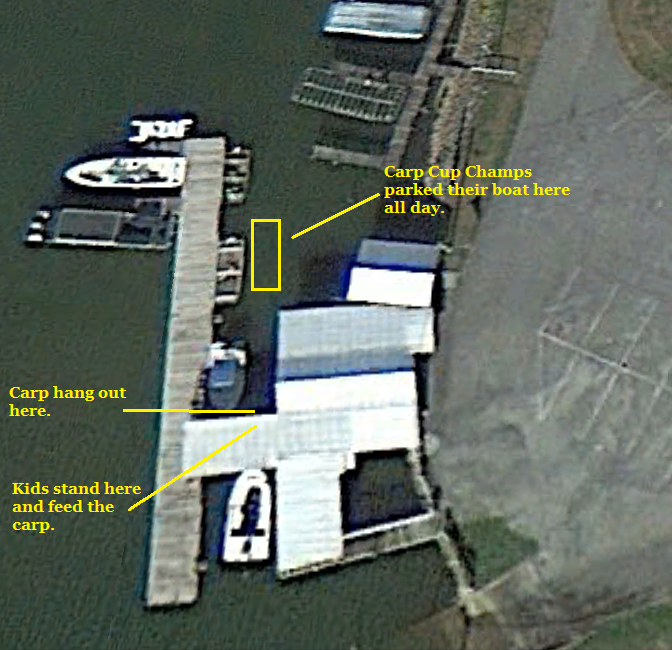 to fish a tournament with a skewed playing field. Yes, I know we could just go lay up at the nearest marina and pound the docks if we truly wanted to make a run at winning the thing. I think it can be easily argued that the entire carp angling niche is largely grounded on one central fact - carp are tough SOBs to catch on a fly. A tailing carp on a muddy flat will take your lunch money more often than not. Catching what are essentially tame, fed fish is the exact opposite of that. It's the difference between Greco-Roman wrestling in the Olympics and a WWF freakshow. One is the real deal and the other a farce. So please, 3 Rivers folks, please ban marina fishing next year. You have a seriously good thing here. A Marina Cup Champion is embarrassing. Or should be.